Schwervon’s Long Midwestern Weekend | Schwervon! This entry was posted in Uncategorized and tagged Ames, Christopher the Conquered, H.D. 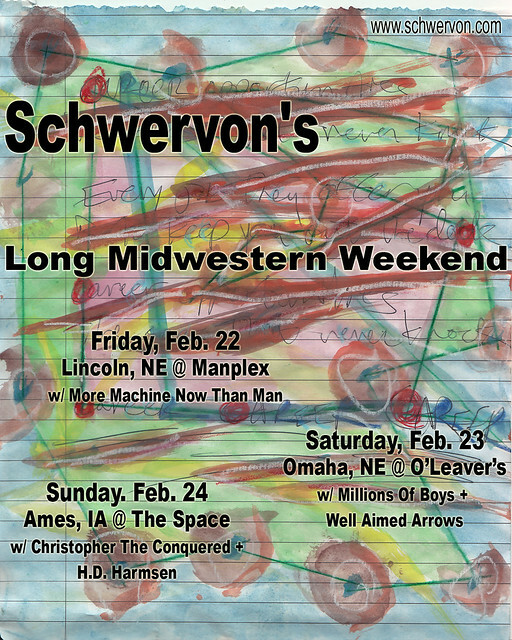 Harmsen, Iowa, Lincoln, Manplex, Midwestern Weekend, Millions of Boys, More Machine Now Than Man, Nebraska, O'Leaver's, Omaha, Schwervon!, The Space for Ames, Well Aimed Arrows. Bookmark the permalink.